Build a fort, playhouse, or that super special hideaway. Just add a sheet or covering to complete that special design. 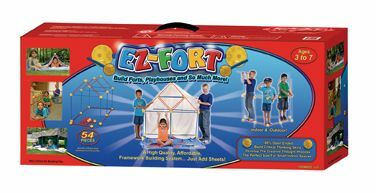 Each EZ-Fort 54 piece kit comes with enough pieces to build plenty of creations!